When you visit a website for a business that uses remarketing, the site will drop a ‘cookie’ (small piece of code) into your browser. As you travel around the web, that code is matched with available ads, and chooses an ad to display based on your recent browsing history. The browser cookie is usually set to expire after the ads have shown a few times. When you set up your remarketing campaign, you will define specific criteria for your target audience to meet, such as visiting a specific page, or a group of pages. When a visitor to your site meets this criteria, the cookie gets dropped into their browser. When this happens, they become members of your remarketing lists (you can have many lists), and your ad will appear for them when they visit other websites that display ads. The best part is, you only pay if your ad is clicked. If they don’t click on your ad, you don’t pay. The cost for a click is generally quite low, but can vary depending on many factors. Remarketing is very effective because 97% of buyers need multiple visits to a website before making a purchase or enquiry. This means only 3% of new visitors become customers on their first visit. Getting even a small percentage of the remaining 97% to return and complete a sale can give any business a nice sales lift. Remarketing offers the ideal strategy to do just that. Let’s face it. The internet is full of distractions. A visitor to your site may be very interested in what you offer, but after they leave, they may not remember how they found you in the first place. Without the strong brand recognition strategies larger companies have, small businesses can be easily forgotten. 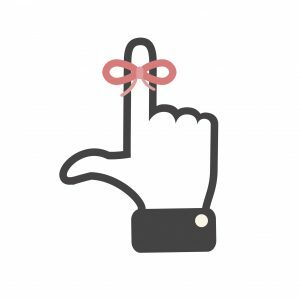 Remarketing reminds them of their visit to your site, and why they may want to return. This company’s remarketing list criteria was that anyone who visits four or more pages on their site would be eligible to see their ads. When a visitor views at least four pages, they are expressing a significant interest in your business. Before they began remarketing, about 2.5% of visitors were making sales enquiries. When we added remarketing, their sales enquiries jumped to 3% of visitors, which my customer estimated was an additional $2k sales per month. You will need a Google AdWords account and Google Analytics loaded on your website. Ensure your AdWords and Analytics accounts are linked together so audience information can be transferred from Analytics to AdWords. Define your criteria for each remarketing list (viewed specific pages or set pages, viewed a certain number of pages, etc.). You can do this in Google Analytics. Set up a remarketing campaign in Google AdWords. Have website traffic of at least 100 users over a 30 day period for Google to show your ads. Create visual ads with a compelling message. Send those who click on the ads to a compelling landing page, preferably not one they saw when they previously visited your website. Remarketing ads can be set so they only display a certain number of times to an individual. Use this feature. If a person hasn’t click on your ad after seeing it five times in a week, it’s unlikely they will change their mind on the sixth time. Stop showing them your ad, or you will be remembered negatively, as a stalker. If you have a Facebook Business page, you can create a remarketing campaign where your ads appear in people’s Facebook feeds after they have visited your website and met your audience criteria. There are a few Bird’s Eye customers experiencing great success with Facebook remarketing. It’s an effective way to approach previous site visitors. The difference between this and Google is you need to define your audience using Facebook’s powerful Pixel.